We’re on the West Coast Mainline out of Euston as we join the Bakerloo Line to head back into town and on to home. This is another case where local, suburban and intercity services all multiplex along the same route. When we arrived platforms 5 and 6 were locked behind an enormous metal gate. Peering through the railings to see a desolate platform without posters or light, I thought it was safe to assume that this area of the station was not in regular use. It turns out that the high-speed Pendolino trains running non stop on their way to Watford, rush through at such a speed, that it creates a near lethal wind tunnel effect through the station. The gated platforms are only opened 10 minutes prior to a departure and are promptly locked again when passengers have safely disembarked. 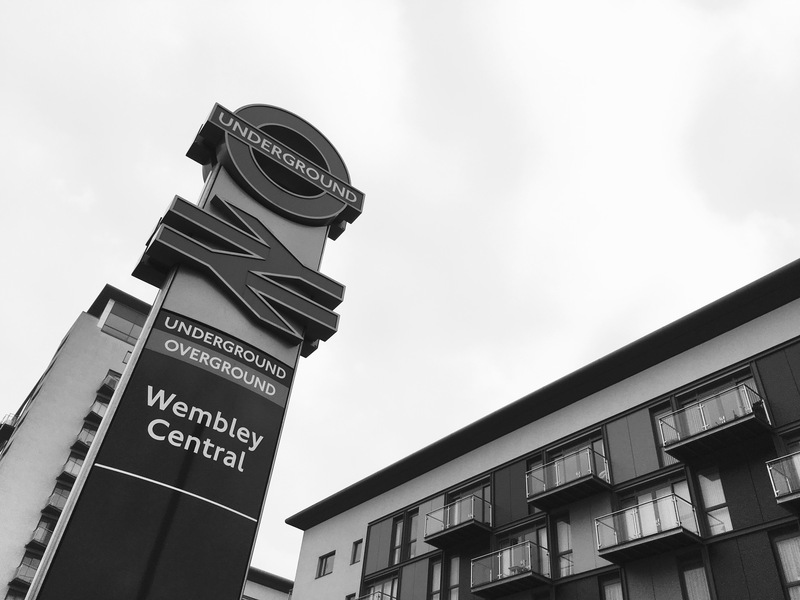 Normally I read up on stations before we visit them, but the awkward trip to IKEA at Neasden (039) meant we’d taken a bus to Wembley Central rather than walking back over the smog ridden North Circular. This unfortunately meant I hadn’t discovered this nugget of information until I got home. Had I known I would have taken a picture of the gates. I’ll be back this way later in the year to complete the Bakerloo Line so I’ll have to retrofit a more suitable picture to this blog another time. Until then, enjoy this modern totem pole with 3D BR Arrows and LU roundel working in complete harmony.